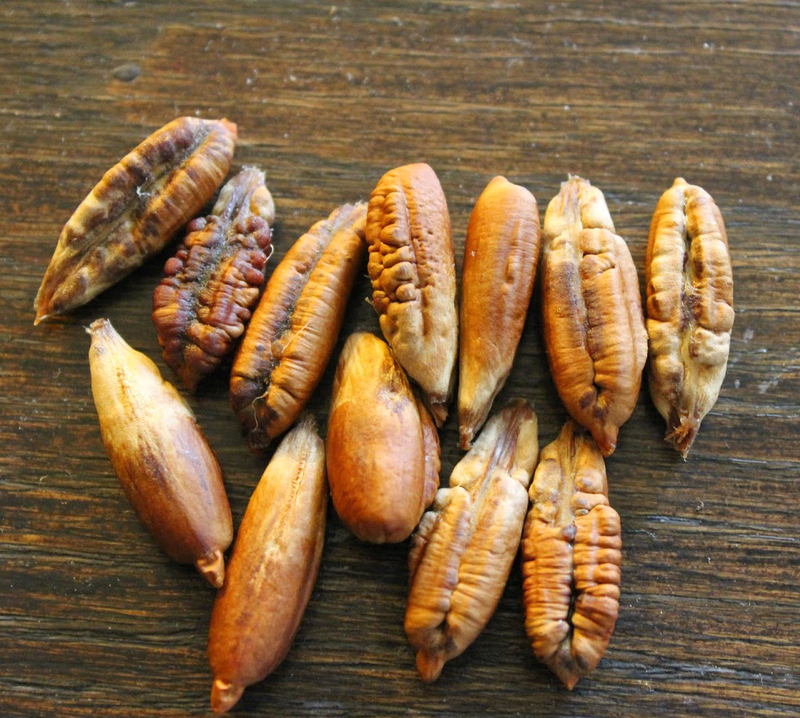 Date seeds, which constitute 6-15% of the total weight of the ripe date are actually a byproduct of date fruit and are largely produced in the Middle East and especially in the United Arab Emirates. It is normally discarded, used as animal feed ingredient or turned into non caffeinated coffee by the Arabs. Date seeds are composed of carbohydrates, dietary fiber, fat, ash and protein. In addition, the antioxidant content in date seed oil (DSO) was found to be similar with olive oil, which can be as a good source of antioxidant in order to fulfill the consumer’s requirements. 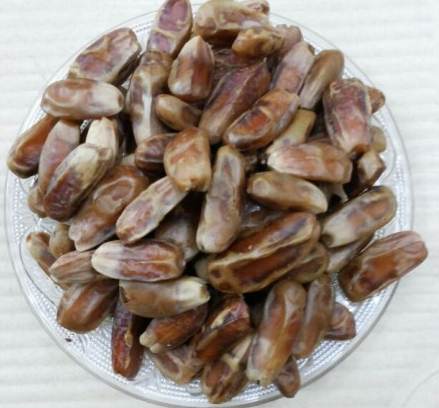 Date seeds are the by-product of date stoning, either for the production of pitted dates or for the manufacture of date paste. 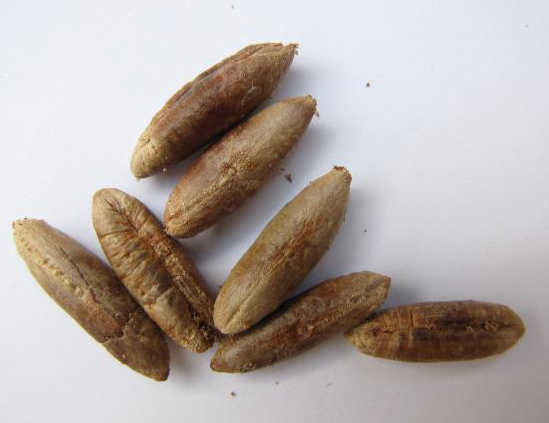 The date seed is a hard coated seed, usually oblong, ventrally grooved, with a small embryo. 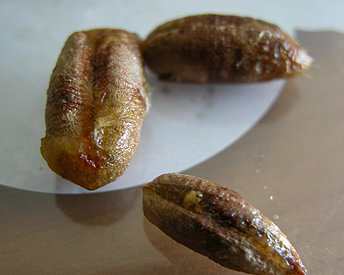 Date pits weigh 0.5 g to 4 g and represent 6 to 20% of the fruit weight depending on maturity, variety and grade. According to a study, date seeds have shown defensive effect against chemically-induced liver damage and oxidative DNA damage. Date seeds provide protection against the liver intoxication, and this hepato-protective effect might be attributed to the antioxidant and free radical scavenging activities. Date seeds are found useful in treating blood sugar related problems, diabetes and its related complications. According to a recent research date seeds have shown potential protective effects against early diabetic complications of both liver and kidney. 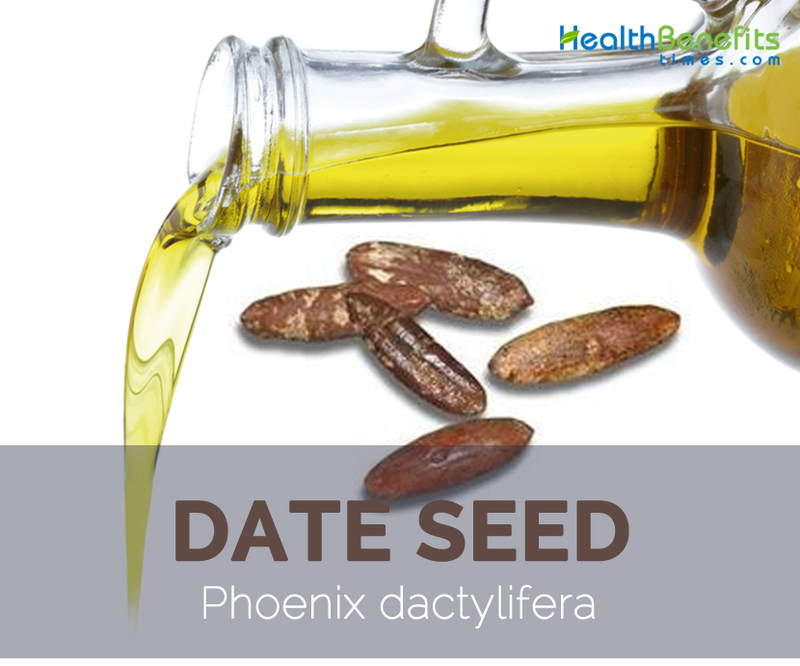 Date seed act as antiviral agents against various pathogenic human viruses. It can be useful in treatment and prevention of many types of viral infections. Research has shown that date pit extracts show a strong ability to prevent the infectivity of Pseudomonas phage ATCC 14209-B1 and completely prevented bacterial lysis. Date seeds are rich in proanthocyanidins that actually helps to protect liver and kidney from damage. A study states that proanthocyanidins-rich date seed extract protects against chemically induced kidney and liver toxicity. Date seeds are rich in antioxidants and have antioxidants and free radical scavenging capabilities. It helps to protect the body against oxidative stress damage. In a recent research, antioxidant potential of date seed protein hydrolysates could be used as a potential functional food ingredient for health promotion. Another research found that Iranian date seeds are strong radical scavengers and can be considered as a good source of natural antioxidants for medicinal and commercial uses. Ideal environment is needed for healthy hair to thrive. And we don’t have to look far. The scalp is where the hair gets its nutrition, so it should always be in top condition to support proper hair growth. Date oil consists of generous amounts of Omega-6 fatty acids, which are polyunsaturated fats that provide nourishment to the scalp. Apart from that, date oil is also rich in lauric acid, a saturated fatty acid that contains antimicrobial and antibacterial properties. This helps create an optimal environment for hair growth by removing dandruff and acne. Thinning hair is a normal part of aging. Hair loss is caused by many factors. But here’s the basic idea: When our cells do not generate enough energy, all our organs – including our hair follicles – will start to age. As a result, hair growth will slow down and shedding will soon begin. When this happens, you will need vitamin B2 and amino acids to prevent it from getting worse. Date oil has high amino acid and riboflavin (vitamin B2) content that can effectively curb hair loss. Amino acid is essential in producing keratin, the protein responsible for strengthening the follicles and increasing hair elasticity. Riboflavin, on the other hand, plays a major role in energy production and restoring cellular function and development. Dates are rich in bioactive non-nutrients called phytochemicals that function as antioxidants. In fact, dates have been reported to be the second highest antioxidant fruit consumed in China. Date oil consists of many classes of bioactive components, and one of them is carotenoids. It is a well-known antioxidant that helps strengthen the hair by protecting it from free radicals. Apart from preventing dandruff and scalp acne, date oil is also widely used for its moisturizing benefits. The Omega-6 and Omega-9 fatty acids contained in the oil helps control water loss so the hair’s moisture is kept intact and the cuticles sealed. To revive dry, brittle hair, we recommend using hair care products made with date oil. Dates are high in many vitamins that help protect against pigment loss. Two of which are Copper and pantothenic acid (vitamin B5), which help stimulate pigment production. Hair color is determined by the amount of melanin in the strands. As we age, our body produces lesser melanin, turning our hair grey. While we cannot reverse aging, we can encourage our body to produce enough melanin by eating food and using products that are naturally rich in Copper and pantothenic acid, such as Date seed oil. How to make date seeds powder at home for various health benefits? Wash the date seeds and let it dry completely. It may take up to 3 days to dry, depending on where you live. Once it is dried completely, grind the date seeds and use in the manner as of coffee beans. How to make date seed syrup at home? Wash and soak the date seeds for 24 hours. Grind it with some water. How to use date seed? Some people use date seeds as an additive to coffee. Add date syrup in to the warm water with lemon and drink as a tea or infused water. Try to make healthy bread spread. Just blend date syrup with honey or Jaggery. Use this instead of jam. Add date powder into your smoothies or juices. Add date palm seed powder into your baking dishes like cookies, cakes etc. Add date syrup while making the salad dressing for extra health benefits. 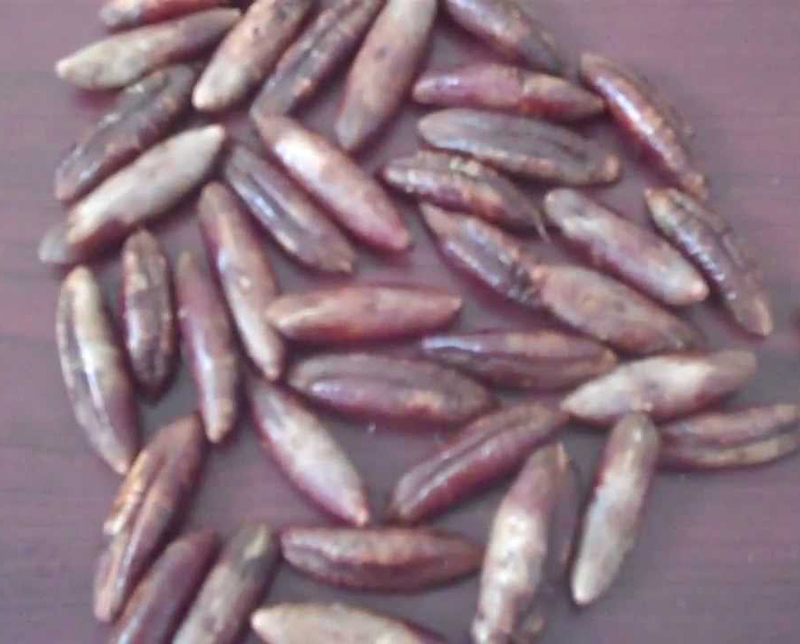 Date seed is a byproduct of date fruit industry. Various studies that have been conducted on date seed found that it can be as an excellent source of dietary fiber. 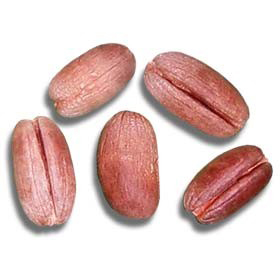 In addition, the other component such as protein and minerals also present in considerable amount in the seed. Based on the fatty acid composition of date seed oil, it is suggested the use of this oil for nutritional purpose, as edible cooking oil and also for the production of margarine due to the high stability and resistance of date seed oil to thermal treatment which indicate the good shelf life and storability of this oil even for a long period of time. The seed powder is an ingredient in a paste given to relieve ague. A coffee-like product is made from date seeds by drying, roasting, and grinding them in a similar way to coffee beans, to produce caffeine-free coffee. 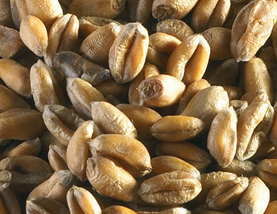 Seeds are used as fodder for cattle, sheep, camels, and poultry. Date seed oil has been used to replace theportions of other vegetable oils in body creams, shampoos, and shaving soap formulations,and, in general, the quality of these cosmetic formulations. 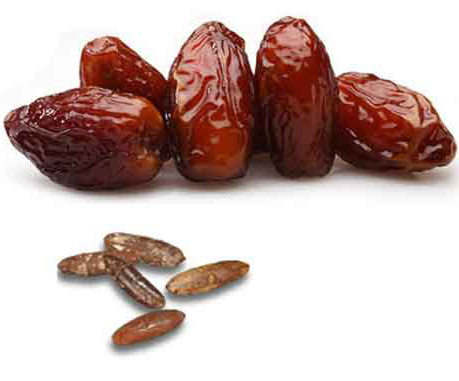 Date seeds comprise up to 15% of the date fruit’s weight. 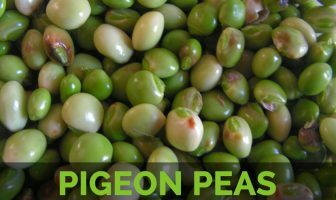 The seeds contain a higher content of protein and fat compared to date ﬂesh. High content of dietary ﬁber and phenolics in date seeds makes them good ingredient for functional foods. 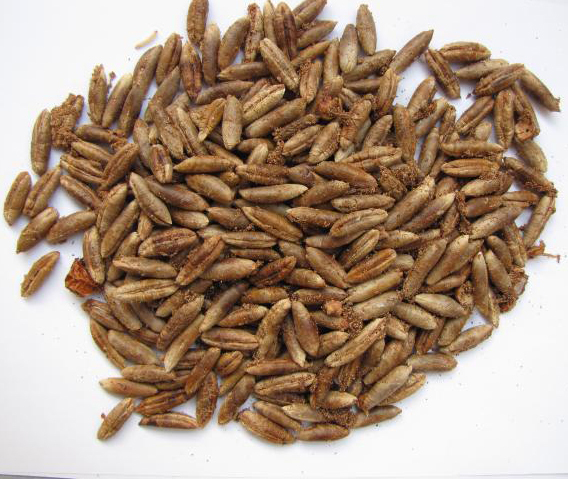 Utilization of seed in animal feed will improve weight gain and feed efﬁciency. Seeds can even be incorporated into necklaces. They can also be used as a source of oil. The seeds contain 6 to 8% of yellow-green, non-drying oil suitable for use in soap and cosmetic products. Seeds are burned to make charcoal for silversmiths. Encephalartos pungens (L.f. ex Aiton) Lehm. Macrozamia tridentata var. pungens J.Schust. Phoenix atlantica var. maroccana A.Chev. Phoenix dactylifera var. adunca D.H.Christ ex Becc. Phoenix dactylifera var. costata Becc. Phoenix dactylifera var. cylindrocarpa Mart. Phoenix dactylifera var. gonocarpa Mart. Phoenix dactylifera var. oocarpa Mart. Phoenix dactylifera var. oxysperma Mart. Phoenix dactylifera var. sphaerocarpa Mart. Phoenix dactylifera var. sylvestris Mart.